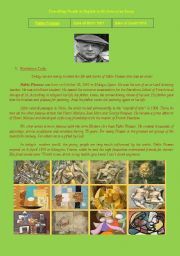 This is an Essay on Pablo Picasso. 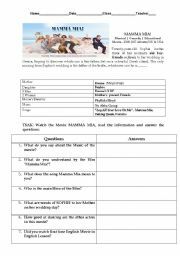 you can help your students to know about the past and teaching how to write and present an Essay. Describing People in English in the form of an Essay. Enjoy ! 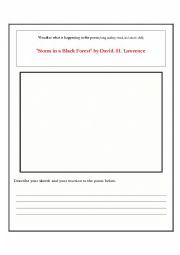 What is An Action word ? 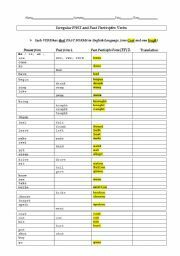 They are called VERBS. 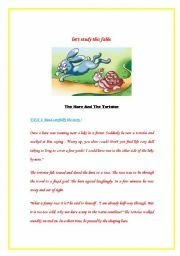 This will help the students to know the Action words and their with the help of this story on The Hare And The Tortoise. 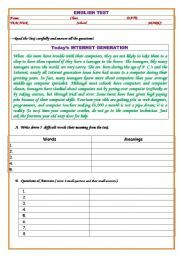 �Today�s INTERNET GENERATION� This TEST will help your students to think in English and give a motivation to read and write carefully. So Don�t miss it to download. Take care. 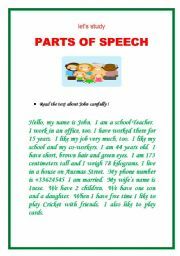 This will really help your students to think in English and form small sentences with the help of Parts of speech. Mamma-Mia is story of a great Love of Mother for her daughter and also love of Daughter for her Mother. The story of a bride-to-be trying to find her real father told using hit songs by the popular �70s group ABBA. Enjoy!